Published on 7/26/2009 in General. 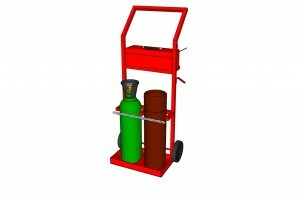 4 Comments Tags: cart, oxy-acetylene, Sketchup, welding, welding cart. 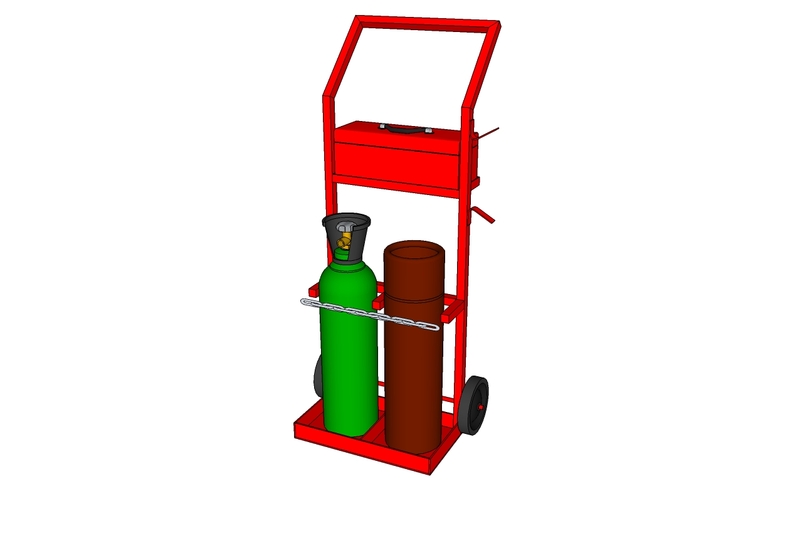 I completed an introductory welding course at Conestoga College last year, and bought myself a small oxy-acetylene torch outfit.� I figured my first real project should be a welding cart. I had my gas cylinders freestanding up against a wall, and that’s just not very safe. I try to cultivate a healthy fear of compressed gas cylinders. Especially cylinders containing oxygen and quasi-stable fuel gases. There are very good reasons for being afraid of gas cylinders. I know you can buy a welding cart, and it would probably cost a lot less than I spent on materials alone. But if I did that, I wouldn’t have learned anything. I thought it would be useful to gain more experience before I embarked onto some of the projects that I learned welding for in the first place. And good thing I did, because one of the things I learned is that I’m a piss-poor welder.